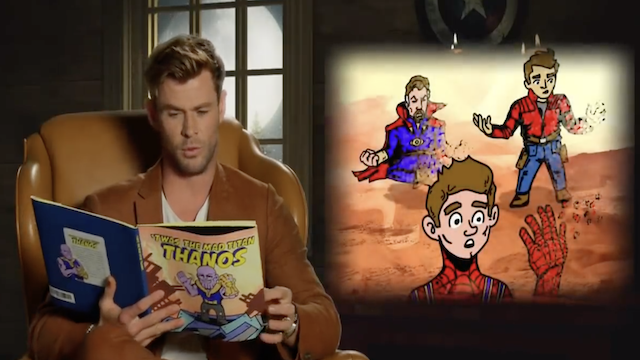 Yesterday, we posted a news story about a fake children’s book based on Avengers: Infinity War. Titled ‘Twas the Mad Titan Thanos, it breaks down the bleak events from that film in storybook form. Now, the full four minute segment is available online. Its worth noting that the actors have some fun with the reading. They even add side comments, with Ruffalo calling Thanos “a naughty boy.” Johannson also pokes a little fun at Thor when he didn’t go “for the head” when he had the chance. “He blew it,” she jokes. It’s a well-known fact that Marvel Studios likes to keep moviegoers in the dark for as long as possible. But in the case of Avengers: Endgame, the studio has been kicking their secrecy machine into overdrive. As it turns out, not even the film’s sizeable cast could be trusted not to spill the beans. In an interview with E! 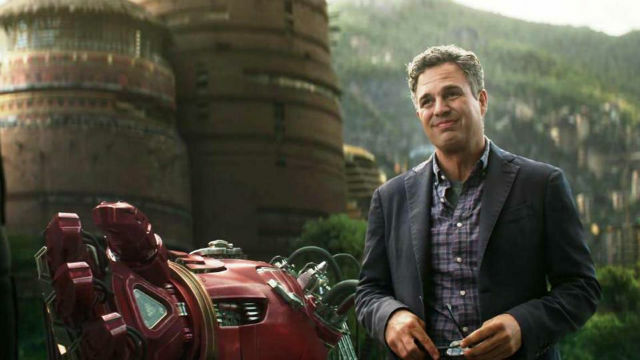 News (via /Film), Mark Ruffalo explained the lengths that Marvel went to in order to keep all of Endgame’s plot details under wraps. Honestly, it’s not surprising that Ruffalo in particular wouldn’t get to see Endgame’s finalized script prior to shooting. Whether casually dropping spoilers during press junkets or accidentally live-streaming the premiere of Thor: Ragnarok, Ruffalo has a reputation for divulging too much information. To his credit, Ruffalo is not as bad as Tom Holland. 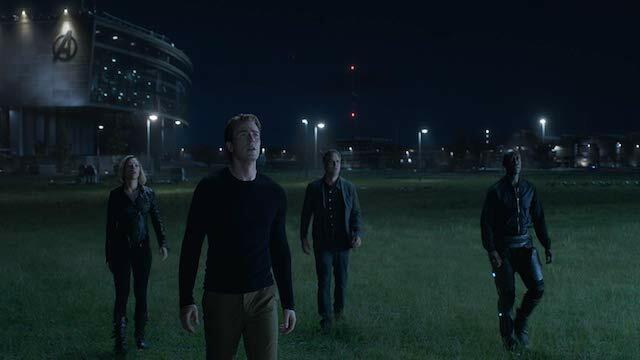 While plugging Endgame in India last week, co-director Joe Russo shared that Holland “gets his lines and that’s all he gets.” However, even that isn’t enough of a safeguard. Russo added that Holland “doesn’t even know who he’s acting opposite” before filming a scene. Additionally, /Film pointed to another interview between both Russo brothers and Collider. Despite Ruffalo’s revelation about multiple endings being filmed, the directors knew how the upcoming installment would conclude from the get-go. 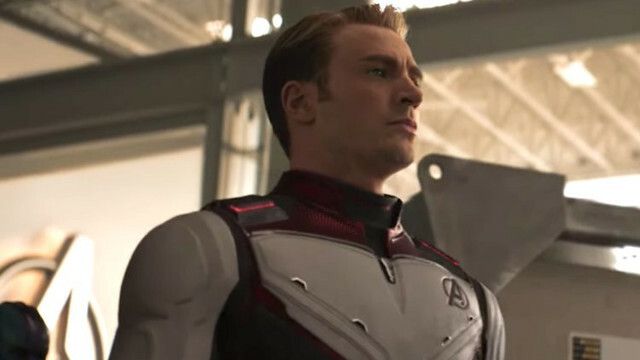 One of the most intriguing things about the upcoming Avengers: Endgame are those matching white costumes the Avengers are wearing. Even tough they were teased by several leaked promo art and toys, the suits were officially shown off in the trailers for the film. Marvel Studios President Kevin Feige revealed to io9 that the Earth’s Mightiest Heroes wear them mainly for a “big differentiating factor”. Furthermore Feige explained that the purpose of the team suits is to make sure people know Endgame is more than just a sequel. He then mentioned also three characters that weren’t in Infinity War: Hawkeye, Captain Marvel and Scott Lang. The countdown is on, as we’re now just about two weeks away from the premiere of Avengers: Endgame. And the stakes couldn’t be higher, as the team prepares to do “whatever it takes” to stop Thanos’ devastation. A new promo trailer released by Marvel Entertainment gives us an idea of just what they have in mind. We’re just over one week away from the premiere of Avengers: Endgame. As it gets closer to release, Marvel’s latest ads are taking a look back at what led to this moment in the series. Even the most recent trailer did that. 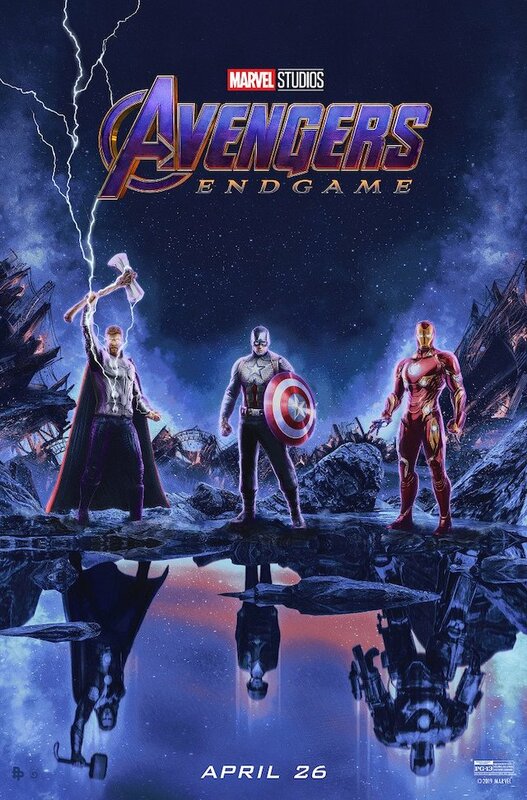 Now there’s a poster that literally reflects on the past of three of Earth’s mightiest heroes. 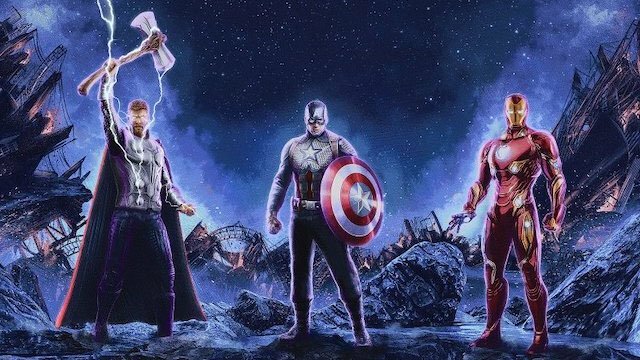 In the poster, which you can see below, we get a good look at three of the Avengers that will challenge Thanos in Endgame. Beginning on the left, we have Thor. In his current mold, he holds his Stormbreaker, sporting a short haircut and slick battle outfit. But from his reflection, you can see his cocky 2011 self, who still wields Mjolnir and has longer hair. Next up is Captain America in the center. He goes through the most stunning changes of the three. In his current mold, you can see him standing boldly with shield in hand, wearing his classic America uniform. But in his reflection, you see him as a much smaller soldier. That’s Steve Rogers as he appeared in Captain America: The First Avenger. Finally, there’s Iron Man on the right. Tony Stark’s been through one hell of a journey. And it all began with a clumsy yet powerful suit that he built in the original Iron Man way back in 2008. 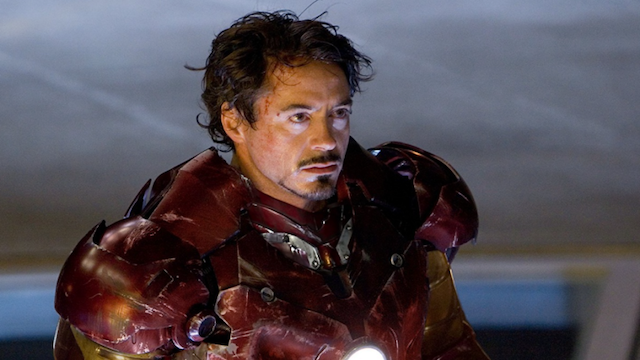 While being held prisoner, Stark worked alongside a fellow scientist to put the suit together. Since escaping his captors, Stark has built more and more sophisticated suits. You can see the difference in his reflection. Fans can see how this conclusive chapter of the saga plays out when Avengers: Endgame opens in theaters on April 26. What do you hope to see from this long-awaited sequel? Let us know in the comment section below! Avengers: Endgame is one week away theaters and fans have been doing their best to avoid spoilers. Regardless, Robert Downey Jr. has teased that the final minutes of Endgame may be everything fans are hoping for. During the interview, Downey also offered some perspective on Stark. Finally, Downey shared his thoughts on why the Marvel movies have become so popular.